Trends are a series of snapshots of your coverage data over time. Every time you run coverage, you have an option to store the results of the execution in a trend file. Over time, you will acquire more and more information about your project, allowing you to quickly determine problem areas in your code. Because we store multiple runs of coverage data in one location, we are able to display the progression of your code over time. Our trend file rolls up all of the symbol, branch, method and cyclomatic complexity calculations for every item in your coverage file. This includes all documents, assemblies, namespaces, classes and methods. Because the trend file contains all of the data from the coverage file, there is no need to have the older coverage files readily available. NCover.Reporting is able to produce a diff report for any two runs in the coverage file providing you with detailed information on what has change between the to executions. Trends are very easy to set up in NCover.Explorer. All you need to do is set the trend file path in your project options as shown in the screen shot below. Once the trend path has been set, NCover will append new trend data to the file every time you run coverage, and NCover Explorer will automatically refresh the trend data when the new coverage data is loaded. Trends may be loaded into NCover.Explorer using one of two methods. Appending coverage data to your trend file only requires one flag to be added to the command line. 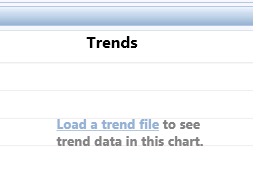 Add the //at flag with the path to your trends file and your coverage data will be appended to the trend file. If you forget to add your coverage data to your trend file, don't worry. 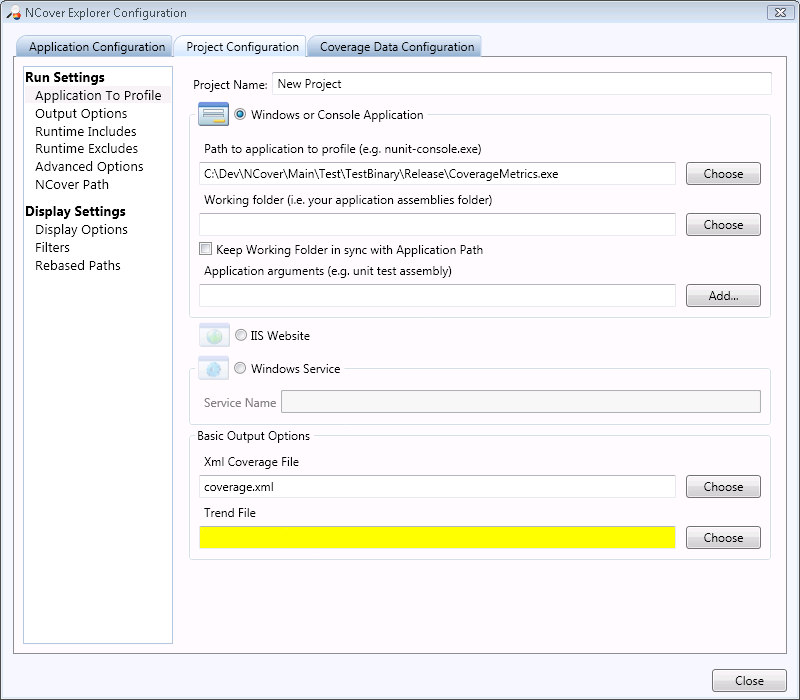 NCover.Reporting allows you to append data from a coverage file to a trend file at any time. Use the //at flag to append the coverage data to your trend file. The application is designed to not append the trend file more than once, so that you won't accidentally include the same data twice.